After the country’s largest budget airline IndiGo expressed interest to buy Air India’s international operations last year, a consortium led by full-service carrier Jet Airways along with European airliner Air France-KLM and US-based Delta Airlines has expressed interest in the disinvestment of national carrier Air India, according to a report. Going ahead with the strategic disinvestment of debt-laden Air India, the government is expected to soon invite Expression of Interest (EoI) from the bidders. Last year, Turkey’s Celebi Aviation Holding and Delhi-based Bird Group had shown interest in buying state-owned Air India’s ground handling operations. 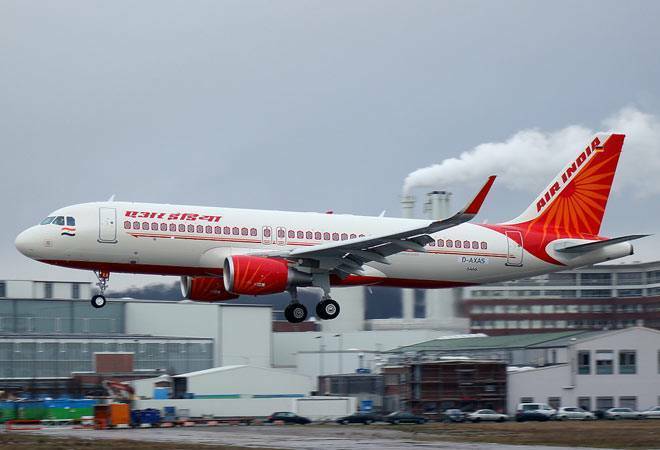 As per reports, the government is planning to split the airline into four entities – core airline business (Air India and Air India Express), regional arm (Alliance Air), ground handling and engineering operations. Each entity will be sold separately with at least 51 per cent stake on offer. The disinvestment process is likely to be completed by the end of 2018. Air India’s debt stands at Rs 51,890 crore. Jet Airways’ possible bid for Air India by way of a consortium comes at a time when CEO Vinay Dube, without naming any manufacturer, said Jet hopes to order 75 narrow-bodied aircraft by March 31 in addition to 75 Boeing 737 MAX that the airline had ordered in 2015. The Naresh Goyal-led airline enhanced cooperation agreement with the Air France-KLM Group less than four months ago. Interestingly, Jet Airways CEO Vinay Dube had a decade-long career at Delta Air Lines before joining the Indian carrier last year. Immediately before coming to Jet Airways, he was Senior Vice President (Asia Pacific) at the American airline. Air France-KLM and its partners Delta and Alitalia operate the largest Trans-Atlantic joint venture with over 270 daily flights. Though Air India is saddled with huge debt, acquiring the airline can help boost the acquirer in terms of foot print, bilteral flying rights, parking slots, etc. Last year in June, the Union Cabinet had approved privatisation of the debt-laden national carrier, which is kept afloat on taxpayers’ money. On January 10, in an attempt to fast-track Air India’s divestment process, the Cabinet allowed foreign airlines to invest upto 49 per cent in Air India. A group headed by Finance Minister Arun Jaitley with Rothschild and Ernst & Young as consultants has been appointed to chalk out the strategy for Air India’s stake sale. The airline has six subsidiaries, out of which three are making losses, with assets worth about $4.6 billion. The government has pumped $3.6 billion since 2012 to bail out the airline.